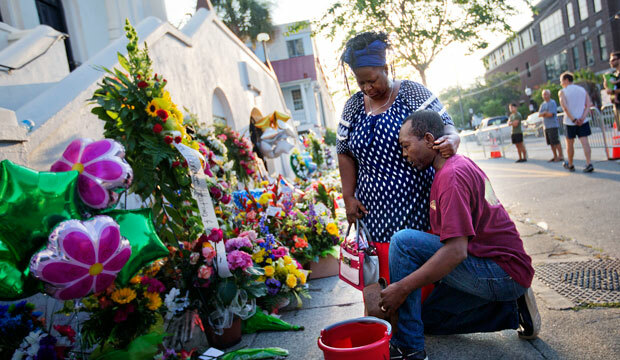 On the evening of June 17, 2015, Dylann Roof opened fire on a Bible study group at Emanuel African Methodist Episcopal Church in Charleston, South Carolina, killing nine congregants and injuring one additional person. Roof fled and, after being on the run for 16 hours, was ultimately apprehended by law enforcement. It quickly became clear that this was not another episode of the random mass violence that occurs much too often in the United States: Roof is a white supremacist who targeted the historic black church out of racially motivated malice. The massacre at this historic church—known as Mother Emanuel and home to the largest and oldest black congregation in the South—is not the only recent example of a public or mass shooting motivated by bias or hate. Just three years earlier, a similarly motivated attack occurred at a Sikh temple in Oak Creek, Wisconsin. On August 5, 2012, Wade Michael Page—a white supremacist with long-standing ties to several neo-Nazi organizations—attacked the temple, fatally shooting six people and wounding four others before committing suicide. Instances of hate-motivated individuals terrorizing communities with guns are not limited to high-profile cases involving multiple fatalities. Violent extremists and hate criminals often use guns as a tool to threaten and intimidate members of historically vulnerable or marginalized communities. In doing so, they inflict serious harm without ever pulling the trigger. New analysis of National Crime Victimization Survey data by the Center for American Progress reveals that between 2010 and 2014, roughly 43,000 hate crimes were committed in the United States that involved the use or threat of a gun. Hate crimes and acts of violent extremism have a pernicious impact on the targeted communities—not just the most proximate victim of a particular crime but the broader community of which the victim is a member. Indeed, that is precisely the purpose of these acts in the minds of the perpetrators: to threaten, intimidate, and terrorize not just an individual but the entire membership of a historically vulnerable community with a message of fear and hatred. The use of guns by these perpetrators compounds the harm done to the victimized community by introducing a uniquely lethal instrument. The threat of a gun from dangerous extremists sends a clear message that they not only harbor feelings of bias or hate against a particular group, but also that they are willing to kill in service of this ideology. Keeping guns out of the hands of individuals who perpetrate hate crimes is therefore a crucial measure to help ensure the safety of groups that have historically been targeted because of their race, ethnicity, national origin, religion, gender, gender identity, sexual orientation, or disability. Yet under federal law and the law in most states, individuals who have been convicted of hate crimes remain free to buy and possess guns. This report explores the history of hate crime laws in the United States, the gaps in those laws that contribute to sporadic and inconsistent reporting, and the challenges involved in successfully prosecuting these cases. It then considers the nexus between guns and hate crimes and the frequency with which criminals motivated by bias and hate use guns to threaten and harm their victims. Finally, it proposes a new measure to help keep guns out of the hands of violent extremists: state and federal legislation that prohibits individuals convicted of misdemeanor hate crimes from buying or possessing guns. Chelsea Parsons is the Vice President of Guns and Crime Policy at the Center for American Progress. Eugenio Weigend is the Senior Policy Analyst and Jordan Jones is the Research Associate for the Guns and Crime Policy team at the Center.